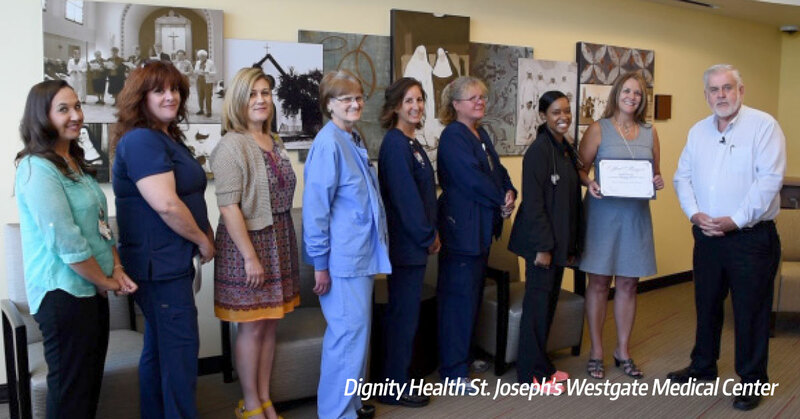 The administrator of Dignity Health St. Joseph’s Westgate Medical Center is encouraging businesswomen to “take a risk,” and she believes it is a great time for women to become leaders in health care. St. Joseph’s Westgate, located on a 35-acre campus near Loop 101 and Glendale Avenue, opened in 2014 and has four operating rooms, a 12-bed emergency room, 12 universal-care beds and a staff that has grown to 175 employees. The campus recently added a new medical office building and uses the most innovative materials to promote patient safety, patient satisfaction and medical efficiency. St. Joseph’s Westgate is among a handful of facilities in the Valley with the robotic da Vinci surgical system. The da Vinci is the newest and most advanced model of the surgical robot and evidence of the facilities commitment to state-of-the-art medicine. “I always knew I wanted to go into health care, and leadership just came naturally to me as I quickly became a charge nurse soon after becoming a nurse. Leadership positions then opened up for me, and I continued along that career path,” Brucato-Day recalled. Brucato-Day worked for Dignity Health St. Joseph’s Hospital and Medical Center in downtown Phoenix for 23 years before being promoted to her current position. She said she is grateful to have found her career path at Dignity Health.